This has been a good month with BzzAgent because they've sent me a lot of products to review and the latest product I've received from them is one NERF Rebelle crossbow with extra darts pack for my daughters to try out. Since I have two daughters, I went out and bought my youngest daughter a NERF Rebelle too so she wouldn't feel left out. At Toys"R"Us, they sell the Rebelle for $19.99 and the extra dart pack (which I got for free using one of the coupons BzzAgent gave me to get a 12 pack of darts), that cost $7.99. The crossbow already comes with 5 darts but it's good to have a extra set just in case darts becomes missing during play. I'm happy that NERF has decided to start creating toys made for girls. NERF makes fun athletic toys to get your child active, but is always geared towards boys. The Rebelle crossbow is for girls 8+ and darts can shoot up to 75 feet. Darts are made of soft foam so it doesn't hurt if a child gets hit with one. My daughters ages are 7 and 6 and I must say that the age requirements for this toy should be for girls 7 and up. 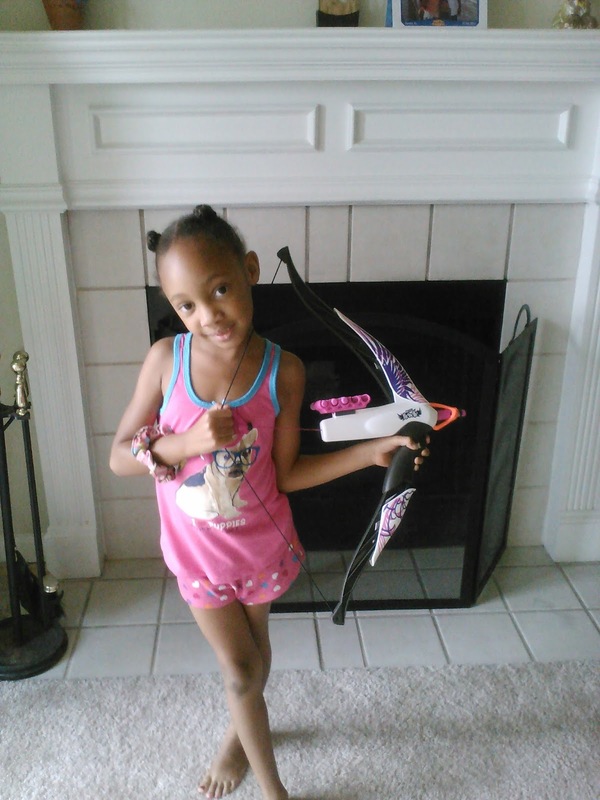 My 7 year old really enjoyed playing with her crossbow but my 6 year old had a very hard time shooting her darts and the pull back string became loose and made it more difficult for her to shoot. The string is still not retracting back but still able to pull the string back a bit to shoot. A lot of tears started to fall and she became very frustrated. I had to show my 6 year old how to shoot it several times before she finally got it. To me, I believe the crossbow is a bit cheaply made and can break easily if rough with it. The part that holds the extra darts in place is always falling off the crossbow. But as long as my daughters are enjoying their new crossbows I'm happy. Is NERF Rebelle Worth a Try? To me, it's a fun sporty crossbow for girls. Just wish it wasn't so cheaply made. If you're a fan of NERF products you'll enjoy this toy. Malik is now 18 and I am still finding Nerf parts from when he was 8! This is an old post and since we're moving I've been finding these darts all over their room too. LOL! My teen girl has the tiny one and wants this bigger one. 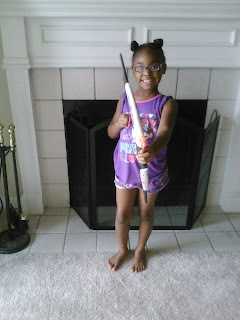 She shoots her friends with it when they come over lol! We love nerf in this house. I went and even got me one at a yard sale to shoot her back! LOL Fun times! enjoy! These Nerf arrows are fun but now my daughters hasn't been playing with theirs anymore. Oh how fun... I bet my girls would enjoy playing with those! I know your girls would enjoy Celeste! seems this is an interesting item for kids.sure,your daughters have fun with it!